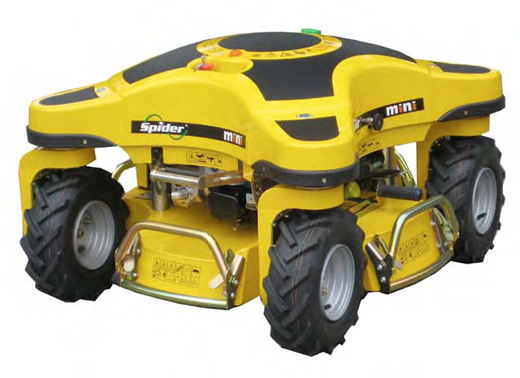 Radio-controlled slope mower Spider MINI is the newest product in the Spider range. 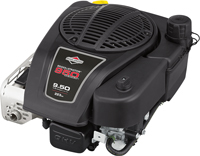 It is the smallest of the Spider mowers, however with its climbing ability and manoeuvrability, the Spider MINI does not lag far behind the commercial models Spider ILD01 and ILD02. Spider MINI is based on the same idea as the other models, but it is newly fitted with unique chain drive portals, which ensures reliable maintenance-free operation and a lower centre of gravity, making the machine simpler and cheaper. The Spider MINI is designed for the needs of customers who have only an occasional need for mowing steep slopes and difficult terrain, but also need a comfortable and safe mower for heneral landscape or garden mowing. The mulching blade is set well within the deck body to minimise the ejection of grass and debris during mowing.